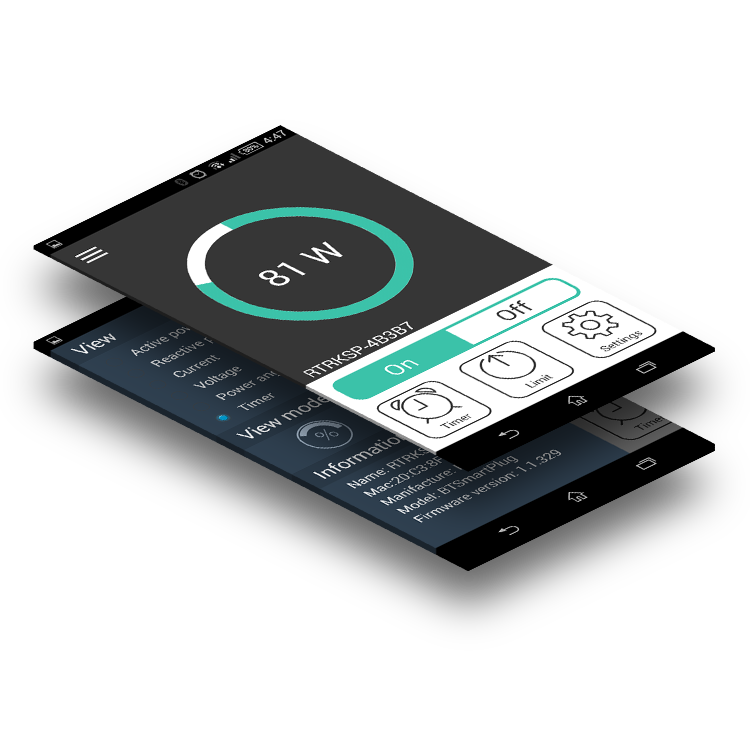 BluePlug is a must have device to control your appliances in your home, monitor power usage and save energy. By the provided mobile app, it cannot be simpler to use. It is almost unnoticeable, but again nicely fitting in your home. 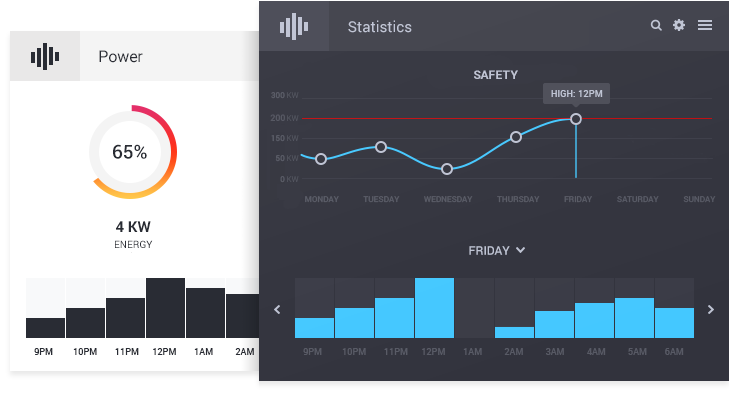 Can be controlled remotely, measure the power consumption of the attached appliance and track its energy usage. Additionally, it can be preprogrammed to your desired schedule. The colorful LEDs can serve as multi-functional visual indication, as well as nightlight. 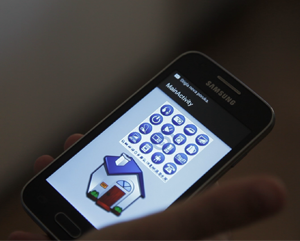 We have created an app for you that will let you use the full potential of you BluePlug without any hassle. The easy-to-use app lets you do all of the above. Just install the app, connect with your BluePlug, and you are ready to go! * E-mail and message notifications are not working if the phone is not in range. 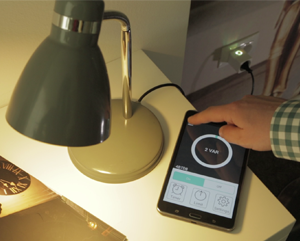 You can attach any appliance in you home to the BluePlug. It has a powerful switch inside, which will connect or disconnect your appliance from the mains. 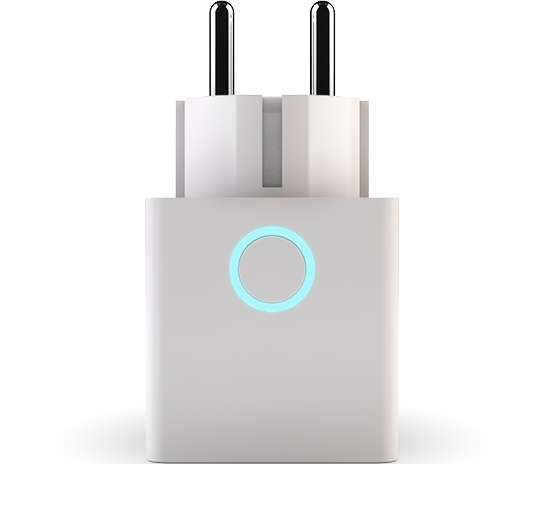 The smart plug is always on, but consumes almost nothing. The switch is controlled by your mobile phone. Just grab your phone, click on a button, and that's it! You just need to be in the range of the plug, anywhere in your home. The BluePlug can be operated manually as well - it has a nice-glowing button on the top for on/off! There are safety features too: if the energy consumption of the attached devices goes above your given limit, the BluePlug with turn it off and protect it. * In development, will be released as a software update! 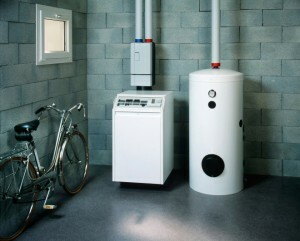 There are cases when you need to leave in hurry, and let the appliance start or stop in some time. Just take your phone, schedule the desired operation in certain minutes, and your are free to go! The BluePlug will take care to do what you want, when you want! Repetitive tasks (like sprinklers, water heater operation, garden lighting) can be easily set up using BluePlug. Just set up the desired behavior using your phone for a week upfront, and the plug will do exactly that! The first step towards home automation. The plug is equipped with powerful, colored LEDs capable to provide millions of colors. The lights can reflect the power consumption of the attached devices, as well as power state. But that is not all - controlled by your phone, you can use it as nightlight, indication of e-mail arrival, incoming call, or whatever you think of. We will be developing new features for BluePlug. In order to keep our customers up to date, updates will be released. Don't worry, updating the plug is as easy as downloading a picture from Internet. Visit the section support periodically to check if there is something new! ... you can develop an app for yourself! There are no secrets in our BluePlug! For the technically skilled persons, we are providing enough content that will let you create your own app! We will help you to create even a better one than ours! To grab the development package, visit the support page! "I have installed BluePlug to save energy used for hot water in my home. Using the provided app, I have set up the desired schedule for a week. Now, the water is heated up before we get up in the morning, and in the evening before we get home. We save energy during the day. On weekends, we are at home the entire day and the water is heated. It works great! Now I can compare the current energy usage with the past consumption!" "Being a student, I always look into future technologies. I have spotted this product as an affordable gadget for home automation. Since I am studying computer sciences, I have developed my own Android application. My app is running on my old phone, always at home and plugged to the charges. It is a gateway the 3 BluePlugs I installed. By sending SMS to the gateway, I can turn on and off my home server and water heater. If somebody is interested, I would be glad to share my app." "I always wanted to have a responsive flat, which would react on my appearance in a smart way. So I created an app that turns on the lights connected to the BluePlug whenever I get close to my entry door, but only daytime. The light stays on until I am close to the plug. Additionally, whenever I get a message on my phone, the LED on the BluePlug blinks red for 5 minutes." 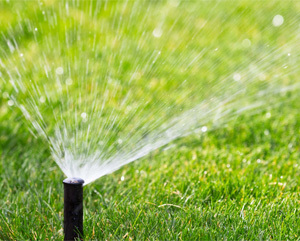 "It was never this easy to program my water sprinkler system. The sprinkler system is driven by an AC pump. Up to now I have been using a cheap timer, but got tired with its hiccups. Now, using the phone is much more convenient to set up and track. I can adjust the schedule in no time!" Get the user manual to learn about your plug and its usage. Install this application to your phone to use the plug most efficiently - available on Google Play. Documentation about the BluePlug API for developing your own app. We are setting up a webshop to let you buy plugs as easy as possible. Until the webshop becomes active, please fill out the form below to let us know about your purchase. We will be shortly back to you. Thanks!